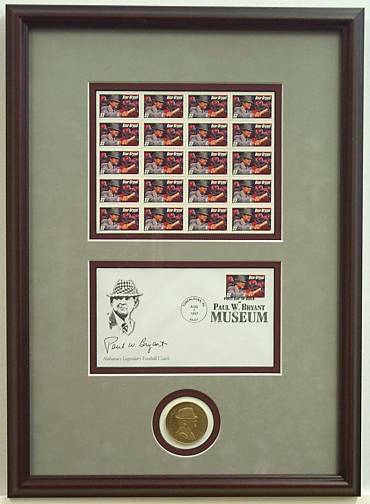 Bear Bryant stamps, envelope, coin. View the "Price and availability page". of the copyright owner is strictly forbidden.